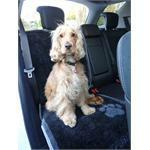 The Boot Mate (67x100cm) is the solution to keeping your car boot free from muddy paws. It acts as a protective barrier and with the super soft luxury pile, it is really comfortable to sit or stand on. 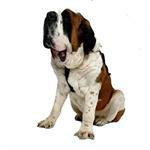 The Ancol Travel Bowl is ideal for taking when going out for a trip with your dog. 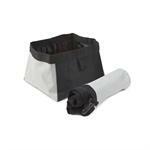 It is lightweight and holds up to 1 litre of water. This is a product that has been designed following a trip back from some very muddy woods. 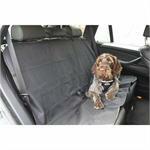 This heavy duty, waterproof cover is suitable to lay over the back seat of the car to allow your dog to travel whilst protecting your seats. Convenient cut outs for the use with the Ancol car harness. 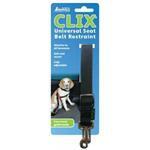 The CLIX Universal Seat Belt Adapter, is the perfect solution when travelling with your dog. 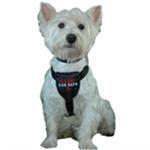 It is a simple strap, which allows you to secure your dog whilst on the move.